Last summer West Ham United pulled off somewhat of a coup as they signed Mexican Javier Hernandez. His first season in the claret and blue hasn’t always been plain sailing with him playing out of position under one manager then not playing much after the sacking of Bilic and appointment of Moyes. 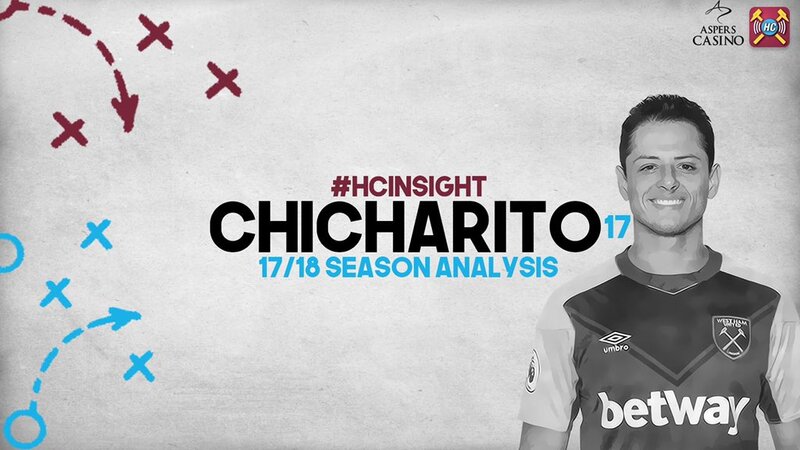 In this episode of Hammers Chat Insights, they take a look at Chicharito’s stats for his season as well as the sides performance with and without him in the side. His goal to minute ratio was impressive in Germany but has he lived up to his finisher reputation or was the Scot correct to bench him? Also this season, Hernandez propelled himself to second for a particular record in the Premier League, all this and more, crammed into a video less than 4 minutes long. This is Javier Hernandez 17/18 stats. The ones you need to know. You can follow Geo on twitter @redhammer8 and every episode of Hammers Chat Insights will be here, on The West Ham Way with the next one due over the weekend or early next week!